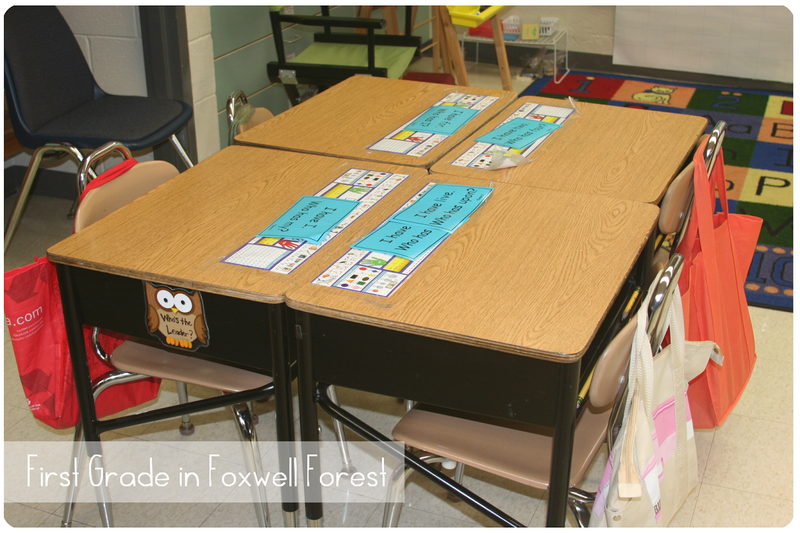 Today we’re happy to feature a guest post by Becca Foxwell who blogs at Foxwell Forest. She has a fantastic idea for how to build simple leadership skills right from the primary grades. Take a look, then go visit her blog. Hello! I am so excited to be a guest blogger for Linda today! This girl has some great ideas on her site and I feel so honored to be sharing one of my ideas today! I will be starting my fifth year of teaching first grade and I just love what I do! I am passionate about instilling a love of learning within the hearts of my students and helping each one grow and succeed! Students need to be equipped with skills to succeed and one of the areas that I love helping students grow in is in leadership skills. 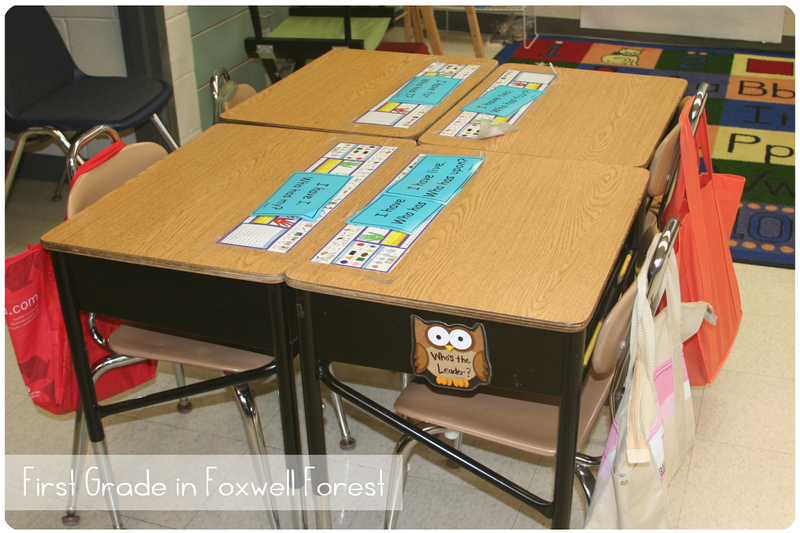 One of the ways that I build leadership skills in my classroom is by utilizing table leaders. If you haven’t used this idea before, I hope that today’s post will help! Managing papers and materials can be a hassle and oh so time consuming. I remember during my first year of teaching feeling like so much of that precious instructional time was wasted in passing out papers and materials, so I thought I’d give four papers to one person at the table to pass out. Brilliant, right? I thought so…until I couldn’t keep track of who I gave the papers to the last time and you all know that when that happens-it’s just going to go downhill! I don’t do whining very well in my classroom, so after hearing “When will I get a turn to pass out the papers? It’s not fair that he always gets the papers…” I decided a solution needed to happen and happen quickly! The owl starts on the first desk, and on that day the student gets to be the table leader. The table leader is the one that passes out all of the papers and materials for the day. For example, when I pass out papers, I hand four papers to the table leader and they pass them out to their table. Or if we need math manipulatives, the table leader gets the manipulatives for the whole table, passes them out, and puts them back when they are finished. I have the rule that students can’t play with the owl on their desk or fly it until the end of the day. If they do play with it or move it before the end of the day, they lose the owl and don’t get to be the table leader the rest of the day. Trust me, you only have to take the owl away once and you don’t have any more problems with students playing with it! Also if a student is absent the person who would be the table leader next, gets to be the table leader for the day! -kids LOVE being leaders and can’t wait to get to be table leader! 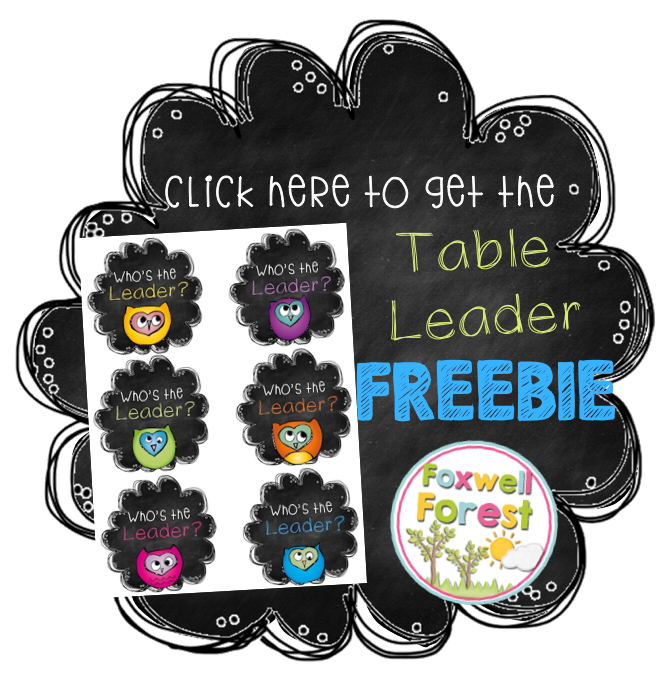 If you’d like to implement table leaders into your classroom this year I have made you a “Who’s the Leader” FREEBIE!! Clipart from: Graphics from the Pond and Hello Literacy! All you will need to do is just print these, cut them, add a magnet to the back of them, and Voila! 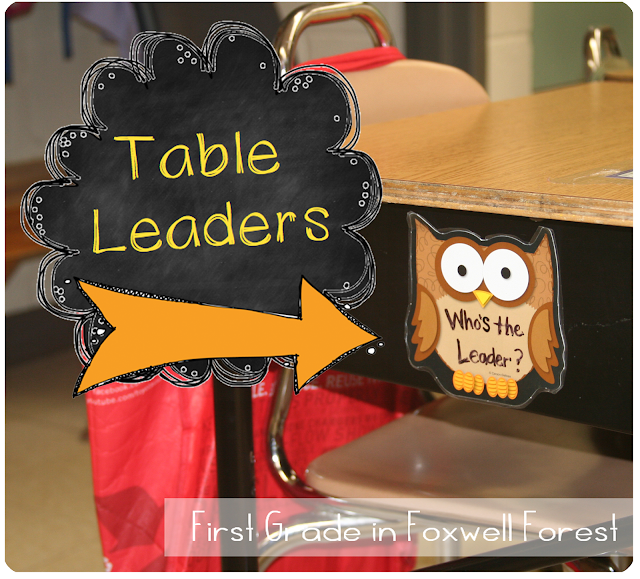 you’re ready to begin implementing table leaders! If you are looking for more ways to build leadership and effectively manage your classroom, I’d love for you to stop on by and check out some of the ideas I share on my blog. There are a lot more resources and freebies (we all love those, right?!) too that can be found on my teaching blog: Foxwell Forest. 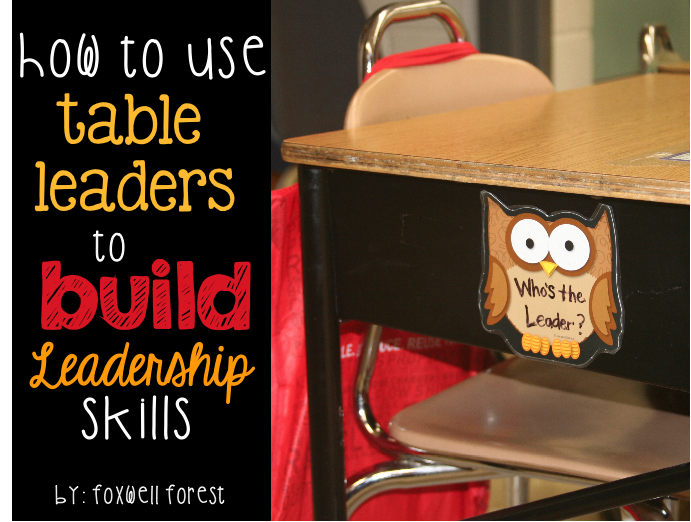 How do you build leadership skills in your classroom? I love this idea! As a first year teacher I was over whelmed with the same issue. So much time was wasted passing everything out. As my kinders became comfortable with papers, I added more responsibilities to their duties as table manager. I’ve had parents email when their child was sick, not only to let me know their child wouldn’t be at school ,but to let me know how upset they were because they would be missing their turn as the table manager . I believe in creating leaders as well. Every week, our jobs change and every child eventually does every job. My “clerks” take care of administrative duties like passing out paper, “techsperts “ help with the tech issues,etc… The kids can’t wait to see what job they have for the week!